Whether you're working on a soundtrack for a media project or your latest dubstep opus, FX samples can help to add interest and atmosphere. 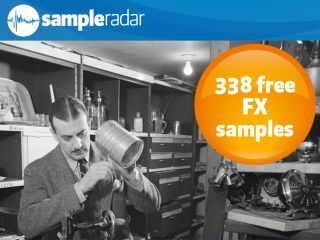 If your sample library isn't yet stocked with such audio embellishments, don't fret, for SampleRadar has 338 of them right here. The samples are supplied in six folders, each of which contains FX sounds of a particular type. The FX samples are supplied in a zip file, so you'll need to extract them before you can see them. Enjoy!